A 7.5 earthquake strikes a coastal Indonesian City that triggered a strong tsunami with 2m (6.6ft) high waves. 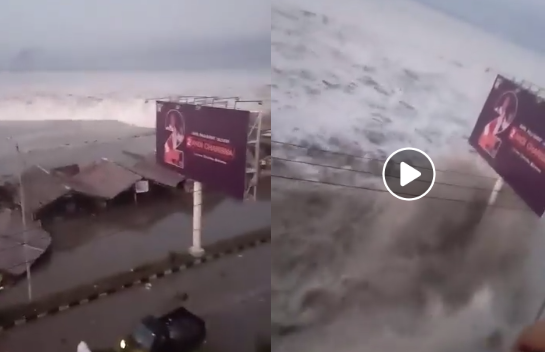 A video shared in social media shows people screaming as high waves was heading on their direction. 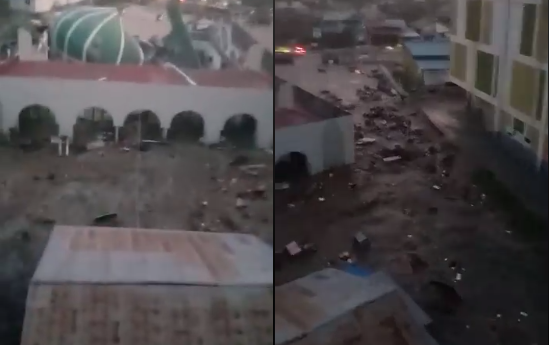 The earthquake hit just off central Sulawesi at a depth of 10km (6.2 miles) just before 18:00(11:00GMT), the US Geological Survey said.